"You can handle the truth! MYTH: IBUs (hop bitterness) can only be achieved in the boil. 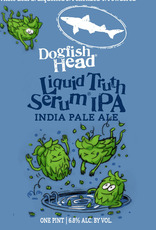 The truth is, Dogfish Head has been experimenting with tradition-bucking hop schedules since we opened in the mid-90s. From our continual hopping method found in our 60 Minute, 90 Minute and 120 Minute IPAs to our latest innovation, we've been know to zag when everyone else zigs. Liquid Truth Serum is no different, and we've liberated a new truth by adding every single hop to this juicy IPA after the boil is complete. 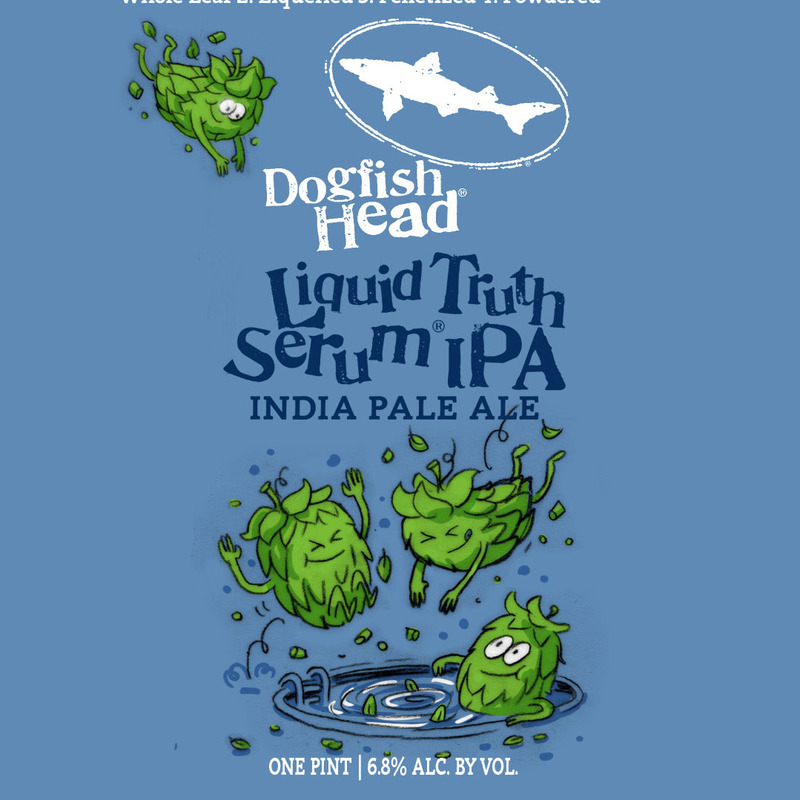 An unfiltered IPA that's bursting with ALL the hops, Liquid Truth Serum is brewed using a unique process that incorporates four different states of hops: whole leaf, liquefied, pelletized and powdered. The result is a blissfully inefficient IPA full of citrusy and tropical notes, that's truthfully hoppy without being deceptively bitter ... honest."